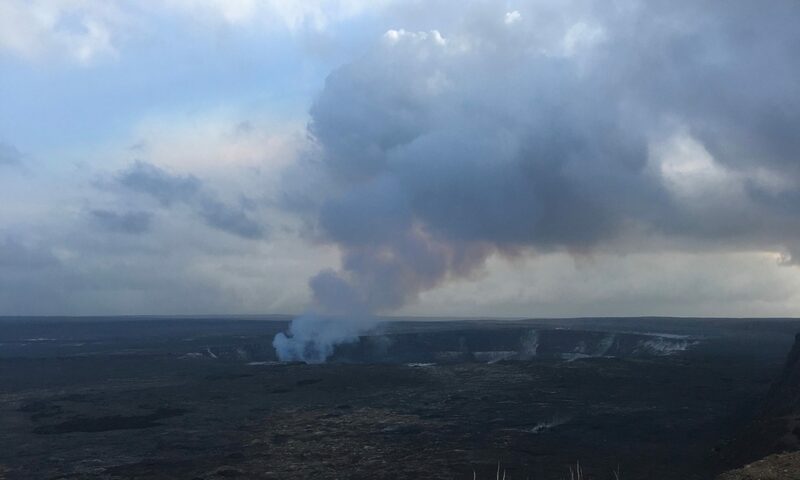 Scientists at MIT and the Kohala Center have created a Hawai‘i Island Vog Network that provides real-time measurements of hazardous fumes like sulfur dioxide and particulate matter in Hawaii. The network collects data using low-powered sensors that are stationed near eruption zones and are connected to the Internet via a Particle Electron. The MIT scientists (also known as the Kroll Group) and the Kohala Center hope to learn more about pollutants in Hawaii’s atmosphere and provide this information to the public through accessible means. 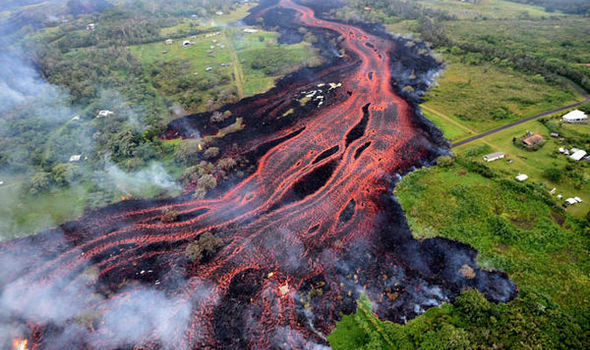 The need for this network could not be more timely as the most active volcano on Hawaii, Kilauea, erupted early May. In a month’s time, Kilauea destroyed around 700 homes, caused at least 21 fissures to emerge, and exposed residents to high levels of sulfur dioxide gas. Even today, these hazardous fumes are seething from the volcano with geologists warning that these eruptions could last for months or years to come. With the volcano’s frequent eruptions over the past thirty years, sulfur dioxide emissions have become hazardous for some areas around Hawaii. With such high health risks, citizens have been searching for data that tracks volcanic vog (smog with volcanic gases) so they know what areas to avoid. However, citizens of the island are having trouble accessing air quality information easily. Typically, the Environmental Protection Agency (EPA) creates air quality stations to monitor for toxins and pollutants. In the United States, each station costs about $100,000 to get up and running. However, the data they collect isn’t always easily obtainable for the general public. 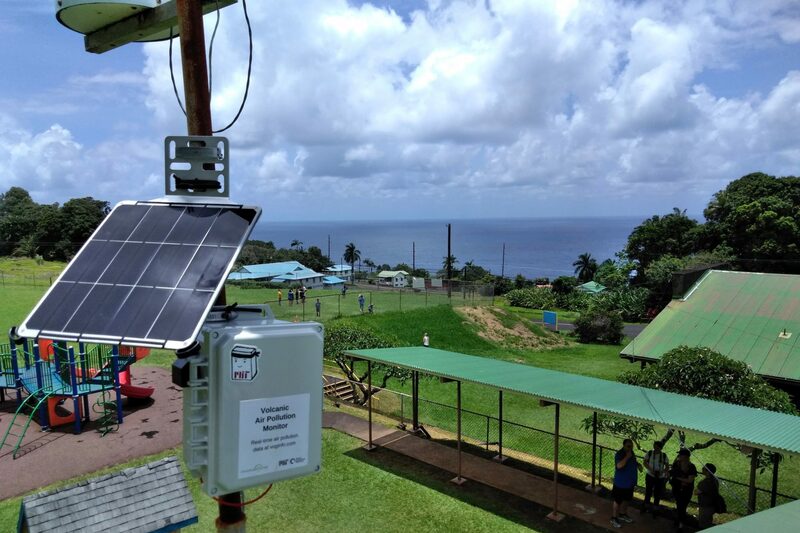 The Hawai‘i Island Vog Network is powered by low-powered sensors. Unlike the EPA stations, these sensors cost roughly $1,000, and there are minimal recurring costs (cell service, etc). With the Particle Electron, these sensors are able to transmit data to the network remotely, without the need of human intervention. 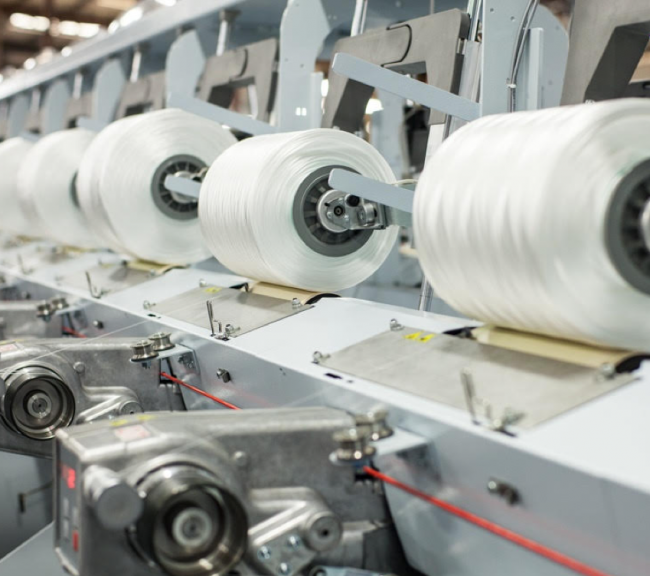 The sensors small size and cost also allow them to be deployed more widely than typical air quality monitors, which means they can capture highly localized air quality data. One of the MIT scientists, David Hagan, has found great applications for these sensors elsewhere. According to the World Health Organization, India contains 14 of the world’s most polluted cities. Most of these cities only have a couple of air quality sites to monitor these air pollutants, but these sites are unable to provide specific data that is needed for monitoring exposure. However, low-cost IoT sensors are providing the granularity needed to better understand the pollutants that arise in an urban environment. David currently has prototypes in the field monitoring data in real-time as he continues to develop production modules in the lab. 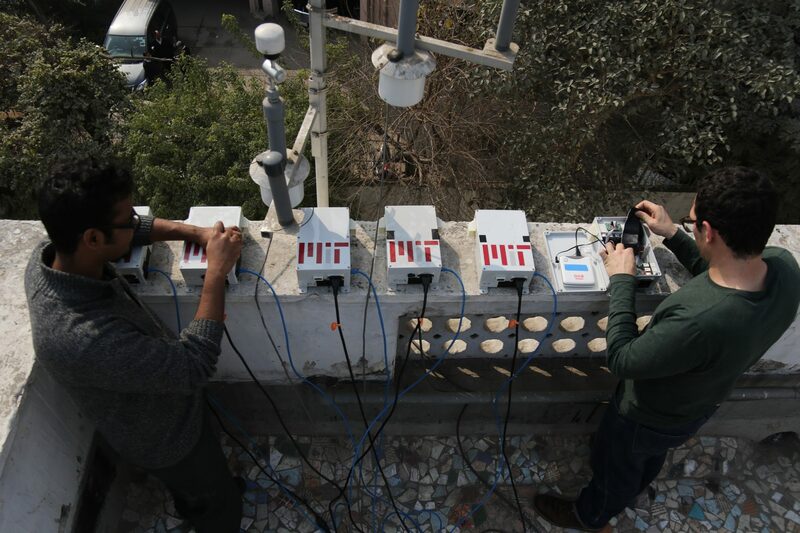 Through these sensors, David hopes to gain a complete understanding of atmospheric air quality and strives to help governments mitigate air pollution effects in cities. With IoT hardware, these scientists at MIT and Kohala Center are providing reliable, accurate, and real-time information on air pollutants in Hawaii and megacities. Not only are the devices cheaper to deploy and easy-to-use, they are increasing the accessibility of data for those who need it. They’ve already partnered with local schools on the big island to weave in environmental science and data analysis into the curriculum. They will also be launching a website soon with all the information from the sensors, allowing residents to log in and check air quality easily. Technical Content Writer at Particle - Discovering how the world is using real IoT one story at a time. 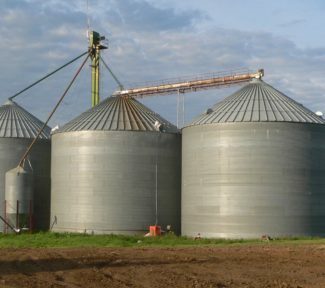 Greg Meandel has implemented a number of different IoT projects on his farm. 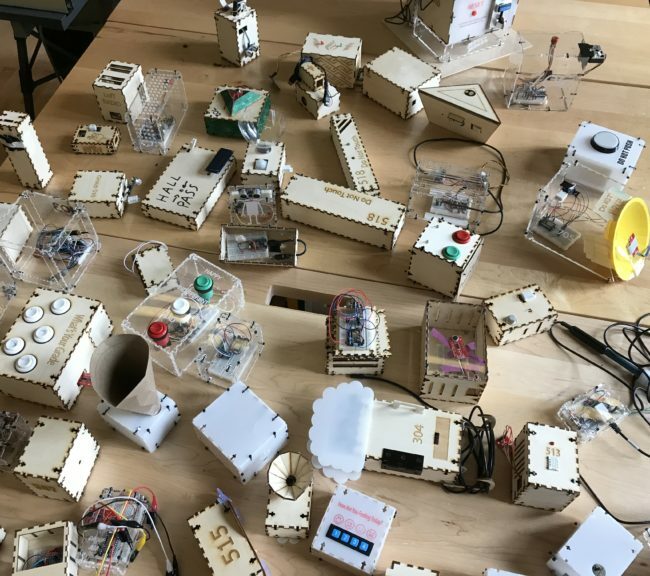 Learn how Lane Tech Students are using IoT to build real IoT applications.